Regretfully, in the recent days, the users of CEX.IO have faced the significant delays in USD and GBP bank withdrawals processing. they need some time to deal with all the transactions. We at CEX.IO are committed to maintaining the trust of our users. We recognize that the delays in withdrawal processing are unacceptable. Hence, all the pending bank withdrawals in GBP and USD were rejected to prevent our users’ funds from getting stuck within the banking system. 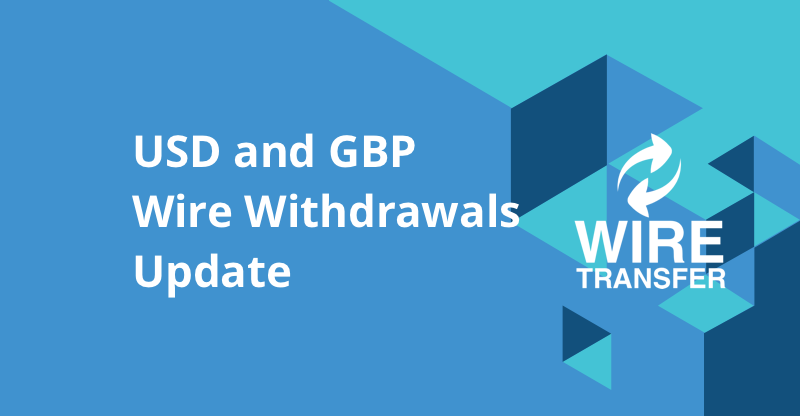 Moreover, we would like to inform you that USD and GBP wire withdrawals are temporarily suspended on CEX.IO. 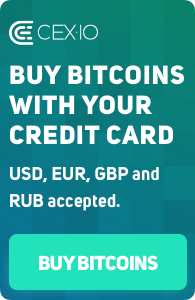 We will monitor the situation with the load of our payment partner and notify you after we receive any updates. As soon as we ensure that we can provide you with the stable service, we will enable wire withdrawal option for the mentioned currencies. Besides, for your convenience, we have decided to increase the withdrawal limits for Euro withdrawals. They are planned for the Bank transfer as well as SEPA options. Soon, the Verified, Verified Plus and Corporate customers will be able to enjoy the benefits of larger EUR transactions to their bank accounts. The updated limits will take effect within 2-3 days. On behalf of CEX.IO Team, we would like to apologize for the inconveniences, as we understand and indeed share your concern on this matter. We are already considering 3 USD and GBP wire withdrawal solutions for our customers and doing everything possible to implement the improvements as soon as possible. With the new methods, our clients will be able to continue using our services to the full extent. We would also like to warn you about the suggestions to solve your payment or verification issues for money. Note that numerous scammers are offering their assistance in resolving the issue with a particular exchange for a payment, donation, or any other remuneration. Please be attentive and avoid falling into it and giving your funds to the third parties. CEX.IO has currently faced an unprecedented growth when all the transactions doubled over one month and tripled over the second one. It is important to note that this expansion happens even despite the paused registrations. In this situation, we have already increased our support, compliance, and finance teams twice, but some time is still necessary for integration and training. Shortly, we plan to scale the departments further to ensure that our users get the service of the quality they deserve.